BoLASEPaKO.com - a simple view on Singapore Soccer: A Picture Tells A Thousand Words. 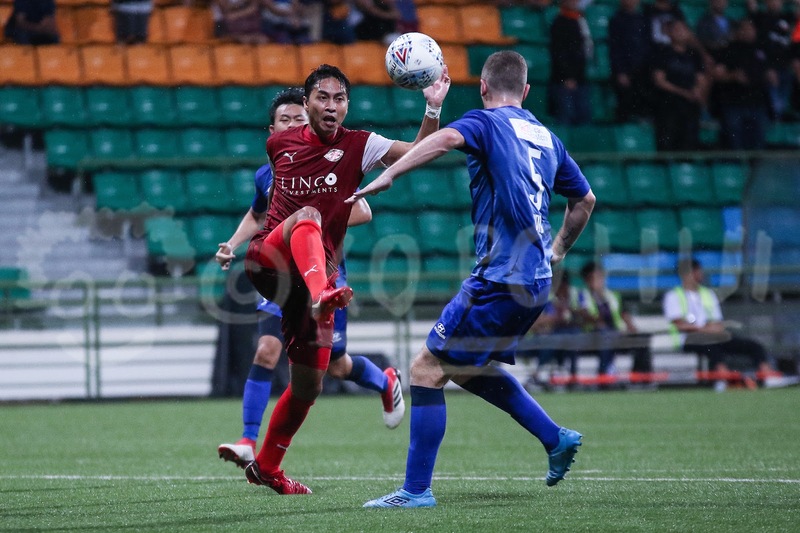 One snap (above) of Home United's Shahril Ishak like this in their recent Great Eastern Hyundai Singapore Premier League (SGPL) game against Hougang United should raise a concern of our chance in this year's AFF Suzuki Cup and panic button should be pressed by now. First of all, take a look at this picture and what did you see? We have a free roaming Shahril with his eyes on the ball making his way into the box in this attacking move. Any sane mind would be asking how could a veteran striker like him be given such a luxury of space by a backline? 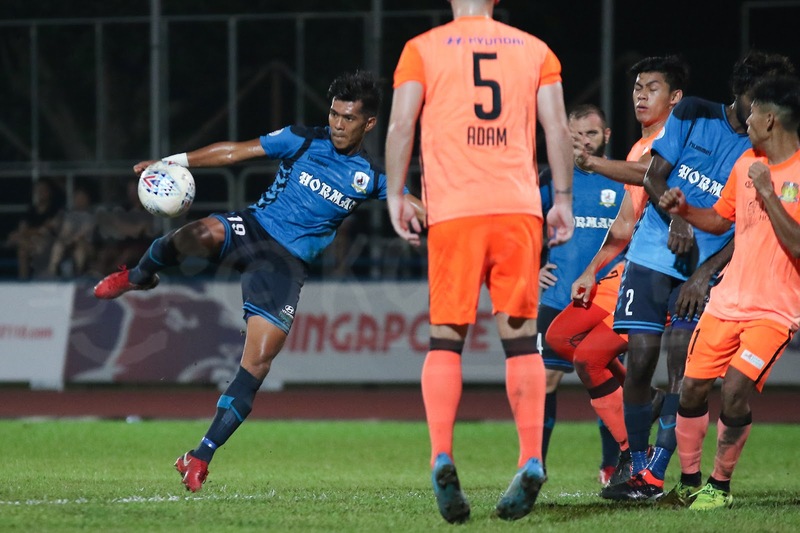 That was probably why Hougang's caretaker coach Clement Teo, seen in background of this snap, gesturing either to his back line to "watch out for Shahril!" or asking "why no one is marking Shahril?" Eventually, both Justin Hui and Adam Mitter (who was released during the recent transfer window) arrived in time to keep the ex-JDT II skipper at bay. If it was the Shahril Ishak back in 2010 before he joined Persib Bandung, such a move would almost guarantee a goal. While it may sounded far-fetched but if the SGPL is going to be the platform to prepare most of our Lions for the Suzuki Cup, I think we may forget about it again. Can Amri (left) recreate his SGPL form for the Lions as well? Key players like Khairul Amri, Irfan Fandi, etc. must be in an intense environment to gear themselves ready and same for the case for Shahril, if he still believe he has a chance in the Lions setup in November. 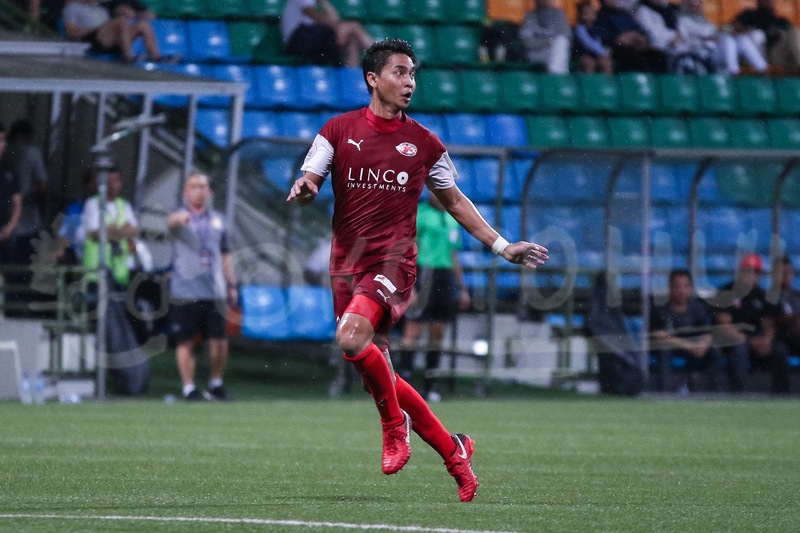 Furthermore, the discrepancy of the standard among the teams in the SGPL is another worrying sign with an even younger Albirex Niigata (Singapore) already wrapped up the title in late July before the season ends in three months time. 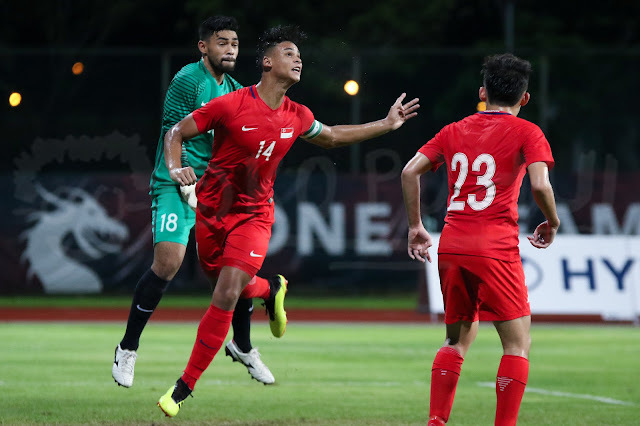 Given the policy that make it mandatory for SGPL clubs to field a number of younger players this season, are we moving in the right direction with more youngsters being signed as "professional" when they're still wet behind the ears? It is kind of worrying to see how the clubs pushed their largely unproven new signings who are not properly groomed under the existing system into the professional ranks abruptly. Is SGPL good enough to gear Irfan (14) for big time? By keep saying an unproven player A has the "potential" or raw player B is a "national material", etc. is not something healthy when what if both A and B don't deliver when expected? The Prime League would have been a good feeder league to groom these fledglings if proper running of it was in place. Sadly, it was not the case and years of neglection resulted the supposedly feeder league to discontinue this year following the launch of the SGPL by the Football Association of Singapore (FAS). I feel that alberix Singapore should start towards more local players. They r capable of that to groom local players.they already set the standard of football for Singapore n they also indirectly help the protectors by challenging them to gauge where they are . But if Even they r champion in SPL continue to next season but there is only where they can reach n not beyong.